"Intimate Exegesis: Reading and Feeling in Early Modern Devotional Literature"
Bronwyn V. Wallace recently completed her Ph.D. in English at Penn. Her dissertation, "Intimate Exegesis," coordinates patristic theology with feminist and queer theory in a study of affect and interpretation in early modern devotional literature. An essay drawn from this project, "Robert Southwell's Intimate Exegesis," is forthcoming in the volume Sensing the Sacred: Religion and the Senses in Medieval and Early Modern Culture (Ashgate, 2016). 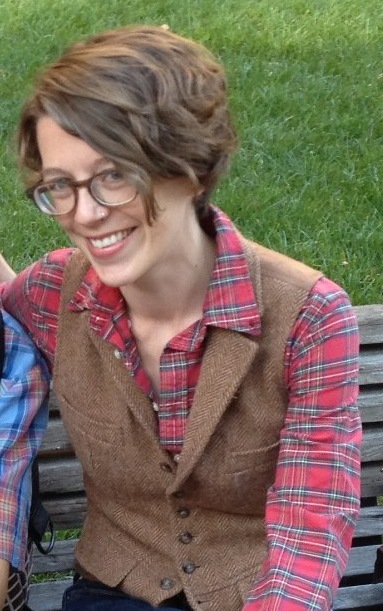 At Penn, she has served as a Senior Tutor at the Writing Center and has taught several courses in writing and the study of literature for the Critical Writing Program, the Liberal and Professional Studies program, the Pre-Freshman Program, the Gender, Sexuality, and Women's Studies Program, and the English Department. In 2013, she received the SAS Dean’s Award for Distinguished Teaching by a Graduate Student. From 2013-15, she served as a Graduate Fellow for Teaching Excellence with Penn's Center for Teaching and Learning. In May 2016 she will take up a position at the University of York (UK) as a Research Associate on the AHRC-funded project "Remembering the Reformation."